Recent Dutch Central Bank studies have shown that choosing to pay by card over cash can help to save the environment. At NetPay we have always been focused on protecting the environment, which is why NetPay’s participation in the Woodland Carbon project means that our merchants can meet their own Corporate Social Responsibility targets and ensure that they are procuring services from sustainable suppliers. We are keen to share even more information as to how NetPay, as well as consumers can do even more for the environment. Studies (from the Dutch Central Bank) have revealed that consumers can help to protect the environment by using card payments instead of paying by cash. This result came down to the fact that the energy and resources that are used when making cash payments are damaging the environment. These damages are caused within the process of coin production, the burning of fossil fuel in transportation trucks as well as the consumed electricity from the cash point (ATM) money withdrawal. 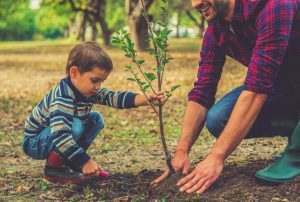 Even though these are only small steps in the overall bigger picture to help protect the planet, it is important to understand what we can do in our day to day life activities. For more information on the full article: Pick Card Payments Over Cash and the Environment Will Thank You Click Here.